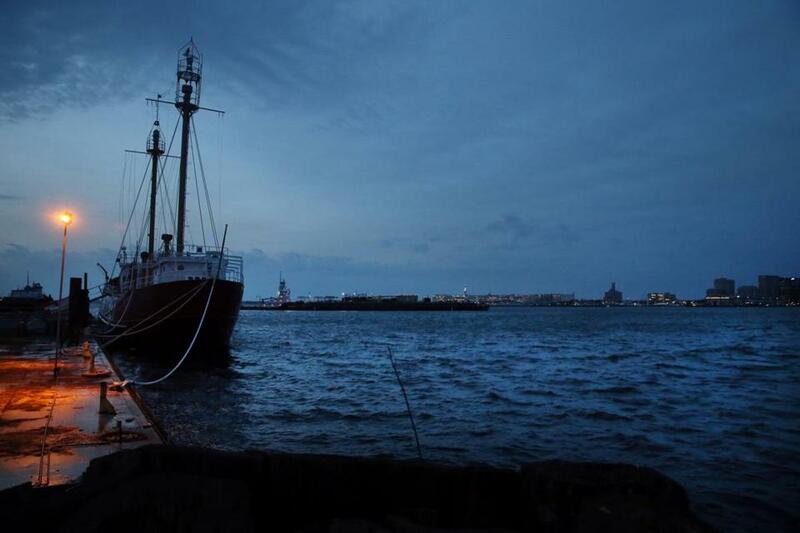 The Nantucket Lightship/LV-112 was docked at the Boston Harbor Shipyard & Marina in April. Autumn is quickly approaching, and school, for many of us, has already arrived. Adults cheer, kids groan, but we can all agree that saying goodbye to summer will be difficult. Labor Day weekend serves as the season’s last hurrah, so we present 20 ways to make the most of it — with or without the kiddos. Martha’s Vineyard Jazz and Blues Summerfest With plenty of music, food, and artisan markets, this festival celebrates just about everything we’ll miss most about the summer. Featuring performances by Cocomama, SAGE, and Grace Kelly. Sept. 1-3, 2-10 p.m. Free, but tickets to performances range from $25-$100. 89 Main St., Edgartown. Spencer Fair Who doesn’t love a fair? This one’s got it all: demolition derbies, a log sawing contest, tractor pulls, an aerial stunt performance, and Juno the Hero Dog. The Spencer Fair has been around for more than 120 years, so you know they must be doing something right. Sept. 2-5, 9 a.m.-7 p.m. Free. 48 Smithville Road, Spencer. Gloucester Schooner Festival Head over to the Harbor Loop to see some majestic vessels set sail during this weekend festival event. Last year’s winner, Columbia, is coming back to defend her title, so it’s bound to be an exciting race. Don’t forget to stick around for the fireworks. Sept. 2-4, 10 a.m. Free. 23 Harbor Loop, Gloucester. 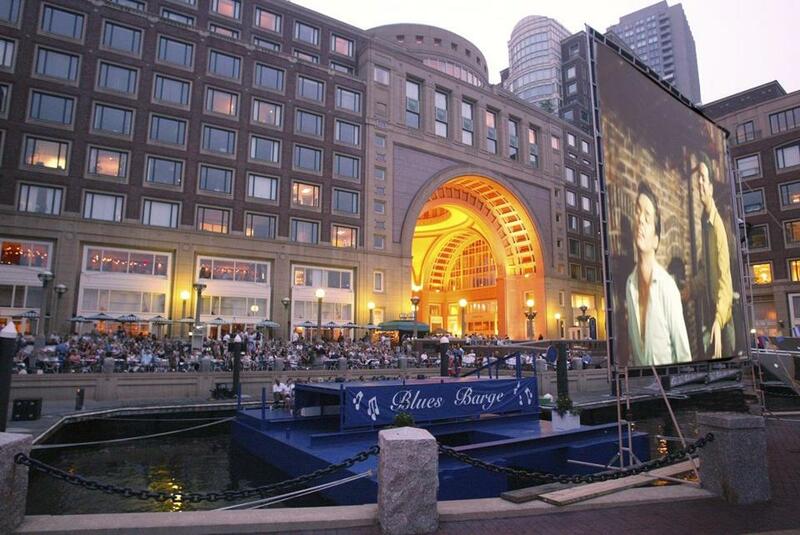 The Boston Harbor Hotel hosts a free outdoor screening of “Star Trek” Sept. 2. Harbor Hotel Film Screening The Boston Harbor Hotel hosts free outdoor movies each Friday as part of its Summer in the City entertainment series, and Labor Day weekend’s will be its penultimate. The feature? 2009’s “Star Trek,” the first of three films in the rebooted series. (The third, “Star Trek Beyond,” is still in theaters!) Sept. 2, at dusk. Free. Boston Harbor Hotel, 70 Rowes Wharf. Boston Seaport Beer Run This guided running tour is a regular event, but Labor Day weekend is the perfect time to get a bunch of friends together. After jogging through some of the city’s historic attractions, the group will wind up back at the Harpoon Brewery for a tour and chilled pints. Start your Saturday right, friends. Sept. 3, 10 a.m. $45. Harpoon Brewery, 306 Northern Ave., South Boston. Newburyport Riverfront Music Festival Icelandic band Kaleo is headlining the Riverfront Music Festival this year, with a lineup featuring The Revivalists and Boston’s own Air Traffic Controller. Bring a chair and set up near the stage, or walk around and sample food from vendors in the historic Market Square. Sept. 3, 11:30 a.m.-6 p.m. Free. Waterfront Park, 36 Merrimac St., Newburyport. Starlabfest Somerville’s ARTfarm used to be a waste transfer site, but now it’s a creative activity space that’ll host Starlabfest over Labor Day weekend. The fest features a flea market, food, and music. The Screaming Females headline. Sept. 3, noon. $15. ARTfarm, 10 Poplar St., Somerville. Fireworks from Nantucket Lightship If you’re looking for a spot to watch the Labor Day fireworks display, this is it. The historic Nantucket Lightship will open its weather deck to the picnic basket-toting public, and the money raised will go toward the ship’s current restoration project. While the ship will remain at the dock, it’s also a museum that’s open to the general public earlier in the day. Sept. 3, 7-9:30 p.m. $25. Boston Shipyard and Marina, 256 Marginal St., East Boston. New England Revolution Game Whether you’re a diehard soccer fan or just fell in love with the sport (and Neymar) during the Rio Olympics, you may want to check out this game. The New England Revolution play the Colorado Rapids at Gillette Stadium, so show your support. Sept. 3, 7:30 p.m. $26-$70. Gillette Stadium, 1 Patriot Place, Foxborough. Branching Out Yoga At root, yoga is about connecting with yourself and the environment, and the Arnold Arboretum seems like just the place to practice it. A professional yogi will lead the free, hourlong session, and attendees are encouraged to bring a mat, water bottle, and a donation. Sept. 4, 9-10 a.m. Free. Arnold Arboretum, 125 Arborway (use the Forest Hills gate entrance), Jamaica Plain. Items for sale at the Somerville Flea. Somerville Flea If spring is the season for cleaning, the rest are all for accumulating. 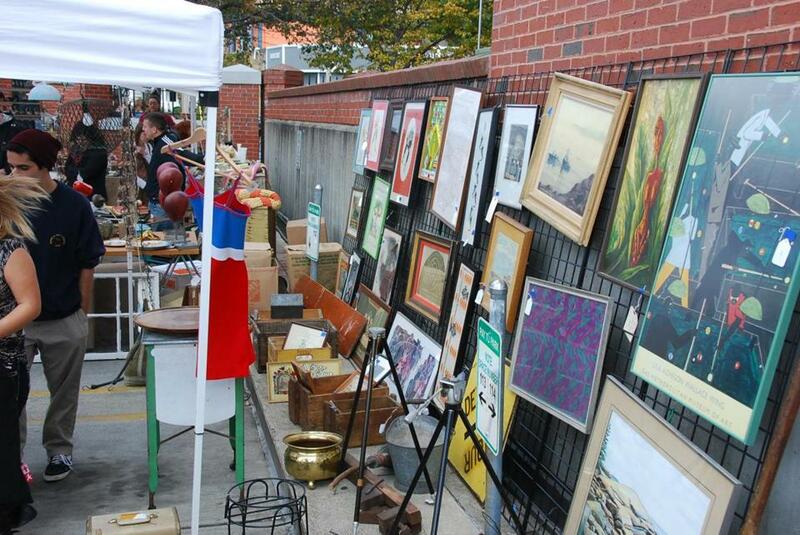 The Somerville Flea is a vintage and artisan market, with vendors selling everything from collectible items to Japanese shaved ice. To sweeten the deal, it’s located right off of the Red Line in Davis Square. Sept. 4, 10 a.m.-4 p.m. Free. Davis Square, Somerville. Jazz on the Porch Musician Emmanuel Davis-Escobar is a multitalented performer, and he’ll show off his skills using a variety of instruments. What better way to glide into fall than with some jazz? Sept. 4, 1-4 p.m. Free. Spectacle Island. Take the 11:30 a.m. ferry from Boston to Spectacle Island. Regular ferry rates apply; ferry departs Long Wharf North, next to Christopher Columbus Park. Bread and Puppet Theater The Vermont-based, award-winning puppet show is bringing its “Whatforward Circus” to Cambridge, and it’ll be a sight to behold. The puppeteers and percussionists will take on a monster named Wrong — the show acting as metaphor for the politics of capitalist culture. Sept. 4, 3-4 p.m. Free. Cambridge Common, at the intersection of Massachusetts Avenue and Waterhouse Street, Cambridge. Tres Gatos A cool joint for tapas, novels, and vinyl records, this Jamaica Plain restaurant has outdoor seating and great live music performances. The Labor Day performer this year is the Koga Ninjazz Trio, playing an eclectic medley of jazz fusion and standards. Sept. 4, 3-4:30pm. 470 Centre St., Jamaica Plain. Pier Pressure Cruise This ultimate party-yacht cruise is for those who want to send off summer in style. With four decks, three DJs, and multiple dance floors, the boat will be rocking. All revelers must wear white, what with all those Labor Day fashion rules. Sept. 4-5, 9:30 p.m.-1:30 a.m. $49. Spirit of Boston Yacht, 200 Seaport Blvd., South Boston. Lawn on D Labor Day Fun Feel like soaking up the end of summer in your own back yard . . . but you don’t have the yard of your dreams? Take a trip to the Lawn on D for lawn games, food, and drinks. It’s like the Labor Day party you used to go to as a kid, but this time, there are cool, glowing swings. Sept. 5, 7 a.m.-10 p.m. Free. The Lawn on D, D Street, South Boston. Bread and Roses Heritage Festival A truly special multicultural event, the Bread and Roses Heritage Festival celebrates the City of Lawrence and its rich history of labor relations. Take a trolley ride, listen to local historians talk about the city, and enjoy the wide variety of live performances. Sept. 5, 11:30 a.m.-7 p.m. Free. Campagnone Common, 200 Common St., Lawrence. Marlborough Labor Day Parade Labor Day weekend wouldn’t be complete without a good old-fashioned parade,and what better place to hold one than Marlborough? Celebrating its 65th year, the procession of floats, marchers, flags, and bands claims to be the largest and most prestigious Labor Day parade in New England. Judge for yourself. Sept. 5, noon. Free. Lincoln Street, Marlborough. Pirate Sunset Cruise Yo ho, yo ho, a pirate’s life for thee. Regular cruises are great, but pirate-themed ones (at sunset!) are even better. Bring your kids and channel your inner Jack Sparrow, all while learning about colonial life at sea. Sept. 5, 6:30-8:30 p.m. $35-$45. (Free for kids under 5.) Massachusetts Bay Lines, 60 Rowes Wharf. Aquarium Whale Watch Cruise Hop aboard a Boston Harbor Cruise catamaran and keep your eyes peeled for those breaching sea mammals. For less-experienced landlubbers, a New England Aquarium guide will be on hand to make sure those Instagram shots are of whales and not whale-shaped logs. All weekend, 9 a.m.-5 p.m. $33-$49. 1 Long Wharf. Sonia Rao can be reached at sonia.rao@globe.com. Carly Sitrin can be reached at carly.sitrin@globe.com.